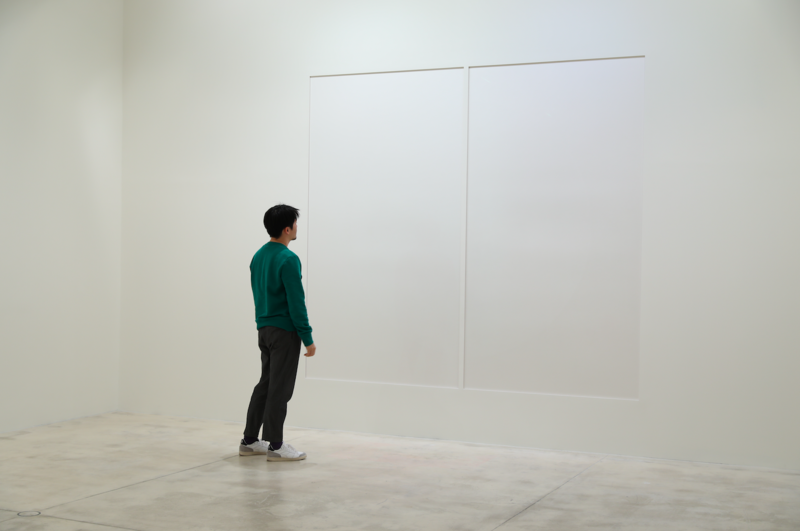 Jianan Qu stands in front of an artwork, staring at it long enough so the artwork becomes irrelevant and meaningless, letting all the thoughts sail through his mind. Without movements or breaks the performance lasted 5h14mins. Qu experiences the transformation of the artwork, the exhibition space and different states of presence of his body and mind.